Ideally, all of our players will be fully invested in each game that we as GM’s devote countless hours preparing and planning. That they would like to see their characters interact with the world, developing relationships buillt upon shared struggles, delving mysteries still unsolved, charting unexplored jungles; but alas, it seems that many of the times, those are just means to the end of leveling up. 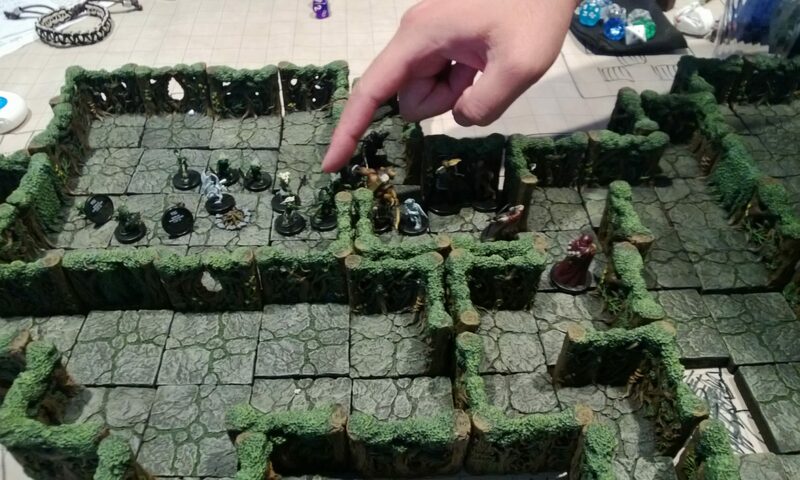 It’s not that I’m saying my players don’t like the role-playing aspect – they do enjoy the storylines and we have a great time playing all the time, its just that power-gaming is inherent in our group. Because of that, I think that this places quite a bit of bias in the game systems we tend to play as a group. Whereas I think my preferences now tend toward the rules-lighter, less “crunchy” systems like Hollow Earth Expedition’s Ubiquity, there is by definition quite a bit less player investment in character mechanical development as compared to a d20 system on the opposite end of the spectrum. In the latter, a character is quite defined by the mechanical bits that comprise him, and these can be planned out in a multitude of combinations throughout the “growth” of the character’s life. A player can (and my players do!) plan out which classes, feats, skills, talents, and equipment he will take at each level, as well as which prestige class he will qualify for and train in. In doing so, the mechanics define and shape the character just as much as – or even moreso, the original character concept. And that large investment of a player’s time into planning out the character translates directly into the player’s investment into his character. I wrote yesterday that I’m thoroughly enjoying the Star Wars Dawn of Defiance game that I’m currently running. And while I don’t think that the d20 system is a good representation of the Star Wars universe (especially when compared to just Episodes IV – VI), I think each player’s investment of many hours into planning how his character is going to developed has helped to continue driving the game onward – they want to play their characters just as much as they want to see their characters reach their goals of getting this prestige class or that feat combo. I’m not saying that this is a bad thing – in fact, I think its great that this aspect of character building really draws the players into knowing their characters VERY well (no, “wait, what’s my bonus to hit now?”) and gives them an attachment to the character such that a PC death does cause waves; its just, I would love for a system that combines this aspect with a more rules-light approach. As an aside, one system that I think manages to balance well the rules-light flow along with a great flexibility of player options and foreplanning is Savage Worlds (and to a lesser degree, Warhammer 40K RPG). There’s enough planning possible for the gamers who like the crunch, but still a very flexible and rules-light deployment of the mechanics. I think Savage Worlds would make an EXCELLENT vehicle for running a Star Wars campaign. One of the most difficult things about starting up a new campaign is filling all the players in about the background of the setting such as important events and peoples in the world, all while doing so without boring them out of their minds. I’ve been recently reading through the Game of Thrones series (or, rather, the Song of Ice and Fire series for the purists) and would love to run a game in that setting; it’s dark and gritty, with many multi-faceted individuals all intent on their own goals and agendas. But, there’s no way I could convey even the basics of the background of Aegon the Conqueror and the Seven Kingdoms, Mad Aerys and Robert’s Rebellion, or the Seven gods and the weirwoods in a reasonable blurb. And so, that’s a HUGE reason I’m thoroughly enjoying running my Star Wars Dawn of Defiance campaign right now. Regardless of what players may think about the validity of Episodes I-III, or how the d20 Saga doesn’t do this right, ALL of us know the Star Wars universe. I don’t need to fill them in on how a senator named Palaptine was recently elevated to Emperor, or how there was once a religious order called the Jedi that was decimated by his right hand man Darth Vader, or even that a Twi’lek is a humoid creature with long head tentacles. We all have the same background knowledge of the world, and its as simple as saying the Wookie bounty hunter wears a bandolier of thermonuclear detonators that fills the same image in all the players minds (and identifies him as one mean NPC not to mess with). Prior to starting this campaign last year, we’d been playing in the World of Greyhawk for close to the past 10 years, well, actually, probably longer than that; and even then, it was still very much “wait, Veluna is a theocracy also? I thought it was the Theocracy of Pale?” With this being the first time I’m regularly running a “shared background” game, the difference is so refreshing! I think in the past, that was why I enjoyed running games like Shadowrun, Dark Matter, or more recently, Gamma World – I could set it in the context of the real world, a truly shared background. In the future, I think this could very well be a much larger draw to bringing in others who otherwise aren’t inclined to game with us. In particular, I’m thinking of all our wives/girlfriends, who wouldn’t come near our games now agreeing to play a game based in the Harry Potter or Twilight universe.